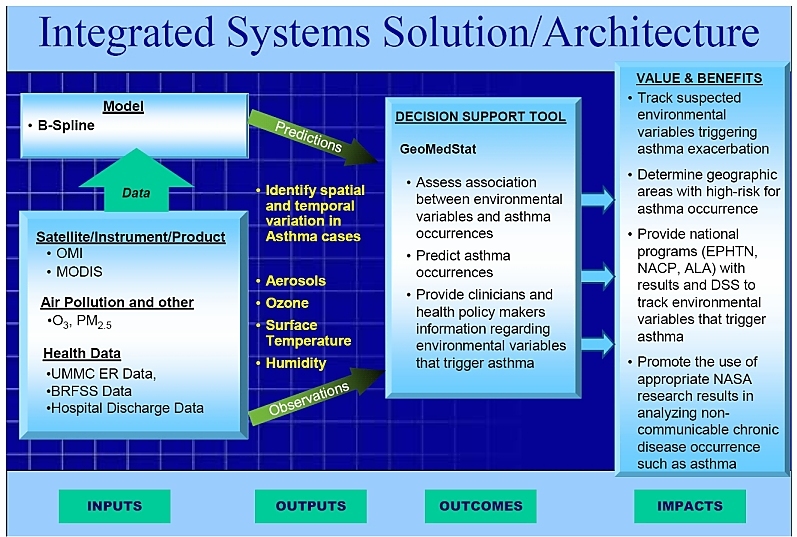 Enhance a decision support tool for asthma surveillance, prediction and intervention, called GeoMedStat, developed by the University of Mississippi Medical Center (UMMC) by integrating it with NASA research results. 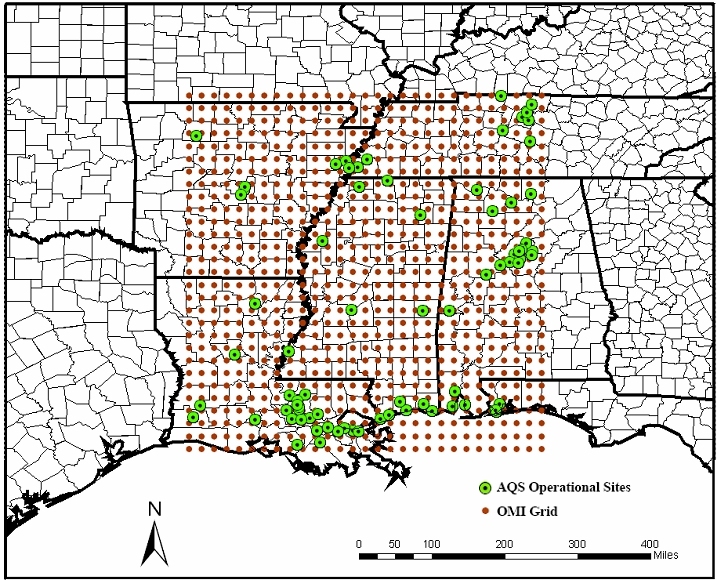 Collocated AQS ozone sites and OMI satellite grid points analyzed for 2005 - 2006. 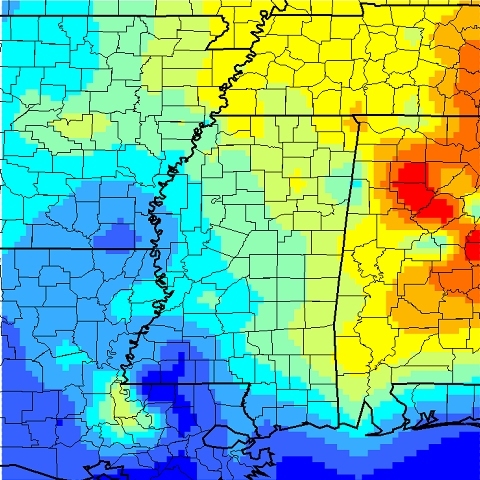 Regression equations between daily ground- level ozone and OMI Total Column Ozone (TCO) were determined. 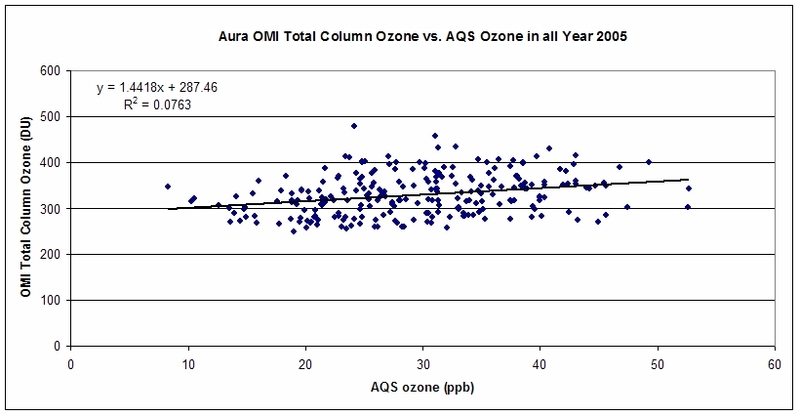 Very small correlations were found, perhaps because 90% of TCO is stratospheric, which is uncorrelated with ground-level ozone.